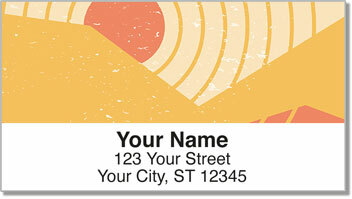 The white hot sun gets a colorful makeover with a unique return address labels from CheckAdvantage. Brilliant beams of bright color shine out from this attractive selection. It's a great way to make boring brown paper packages and plain white envelopes burst with personality! You're not the kind of person who does things the normal way. Why should the way you prepare your mail be any different? 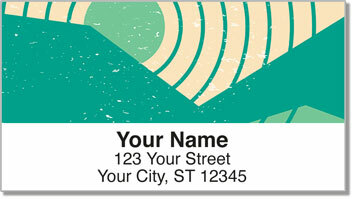 With your new self-adhesive labels, you'll never have to write you your return address by hand ever again. Since they're self-adhesive you just stick them on and forget about it! Get your own Fun Sun Address Labels today! 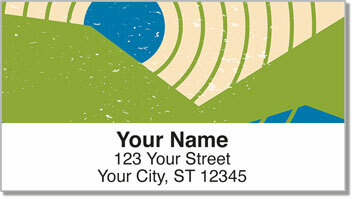 Order them with a set of matching personal checks.